Young break-dance performer born in Ukraine. In 2010 he moves to Hamburg, where he continues his career. His long-term experience in hip hop dance and the love towards that culture, inspires him to engage deeper and participate in different initiatives. Since 2014, he has been holding workshops of this contemporary and urban dance for children. Together with his dance teams, he joins different dance and theatre performances. He took responsibility to organize training, choreographies, dramaturgy and performance on stage, gradually becoming one of the key artistic leader of Hamburg dance hip hop scene. In parallel, he trained to be event manager. 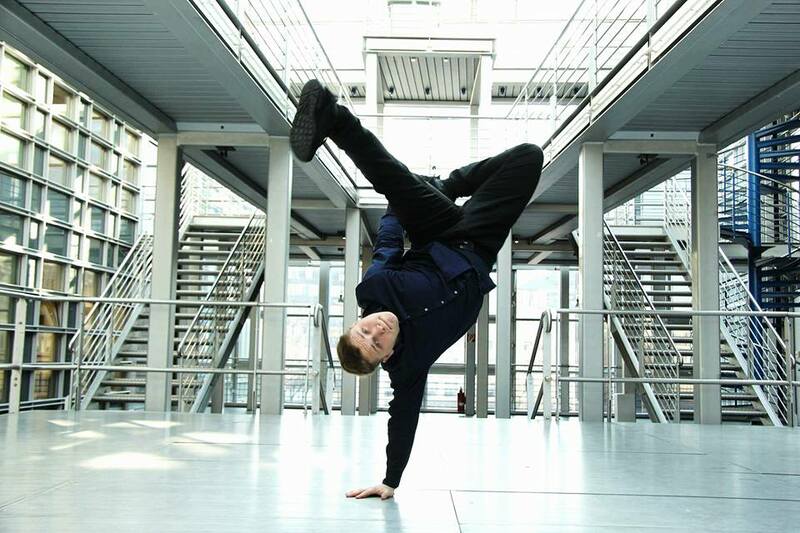 At Kampnagel, he leads one of leading German hip hop events – Geometry of Dance. He is one of the founders and organizers of renowned Hip Hop Academy Hamburg. He was the producer of theatre performance Flight and Command which was presented at the Theater of the World 2017 festival. Would you like to participate to one of the festival’s projects?